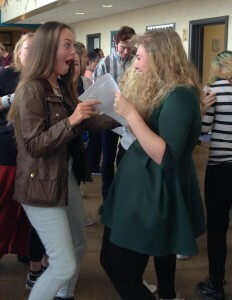 There were cries of delight on 20th August as our students celebrated their GCSE achievements. 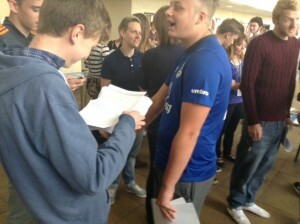 Hard work has paid off, with 96% of students achieving 5A*-G grades including English and maths. 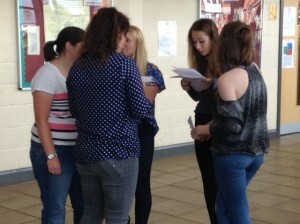 75% of students achieved A*-C grades in English, an improvement for a second consecutive year, and in maths 76% of students achieved A*-C grades. 33% of students were awarded A*-C grades in the key subjects for English Baccalaureate; an increase of 6% on last year and the best Ebbac result in Redcar and Cleveland. Almost 20% of students achieved 3 or more A and A* grades and special mention must go to Daniel Braund who achieved A*s in every subject he sat. Mrs Juckes said, “we are really pleased with our students’ success – a commemoration of their excellent work as well as the support they have received from their parents and the impact of our great staff. We are thrilled that they now have choices open to them to pursue further education and training”.